Air2Air, meeting in the sky! Combining two passions in one, is always a great thing. Photographing other aircraft from a flying camera-ship is probably what I enjoy doing most! During my recent 3 week stay in Belgium, I managed to do exactly that! Even better... on 3 different occasions! Good Air to Air photography often involves flying close formation, which could be a potential dangerous thing if not properly briefed and trained. Flying formation with different types of aircraft which fly at different speeds, makes the whole thing even more challenging. 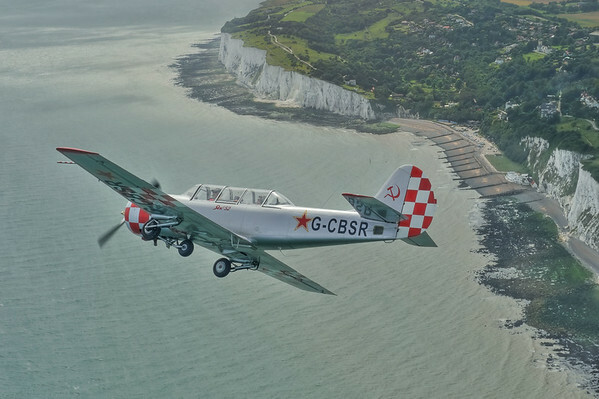 The first image of this YAK52 were made over the English Channel, from a single engine 4 seat Robin DR400-160 with my wife Djamila, at the controls. Ideally one wants to fly with a door removed or a window open for best results. The Robin unfortunately doesn't allow either of them. Still, I'm happy with the results! Sometimes you don't even want to be too close to the subject plane... The tip of Cap Gris Nez (Northeastern part of France) in the top right and the ferry on the left, add something to the story. Anybody familiar with the region knowns we are crossing the Channel. On the next occasion we flew in close formation with a Pitts Special S2B. On the image above, both planes are only a few meters away from each other. On the way back from the 2010 Schaffen fly-in, I made some shots of 2 Stampe SV-4's, also heading back to Kortrijk-Wevelgem airport. The last one using a 70-200 Nikkor lens, is a close-up image of one of the biplanes crew. MaxAir2Air; great photography mostly done from a WW2 B25 bomber with the rear gun turret removed. My own Air2Air gallery can be found here. Last but not least, to all participating pilots; Djamila, Vincent, Lieven, Johan and Alain a big thank you! Earlier this week, I was scheduled to do a training flight and took a Airbus A330 to the Northern Emirate of Ras al Khaimah. On these circuit training trips, we basically take an empty A330 with a bunch of trainees to practice take-off and landings. During the flight I also spend some time in the cabin while the 2 other instructors were running the show in the front office. You probably know that I never go somewhere without a camera... I managed to make a few shots of the airport surroundings from my seat in the cabin. The tracks of multiple vehicles through a field of trees made for an interesting texture! It kind of asks me the question, "where are these people going?" Notice that this was shot with a point and shoot and not with my trusty Nikon D700! Any camera will do to make an interesting shot, as long as the photographer has the vision! More of my Aerial photography images can be found here or checkout my book: Focus on the world below! Today is the last day in my home country Belgium. I got here just under three weeks ago and I managed to include quite a bit of photography during the trip. Some personal projects, quite a few air to air work as well as a shoot for a large business aviation client. More on this the coming weeks. Last week was spend on and around the North Sea. A 36hr boat trip on a friends yacht, followed by a few days at a beachside apartment in Koksijde. 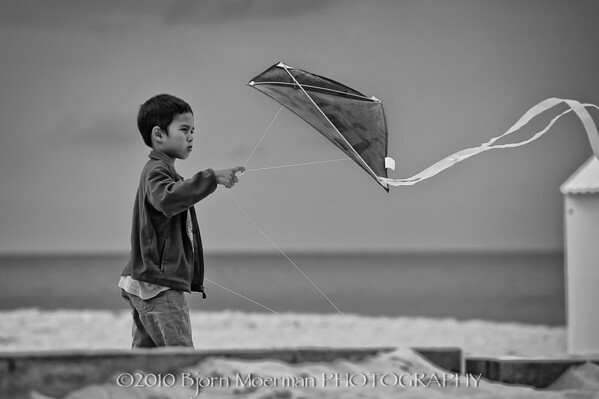 It was at the latter, that I photographed this Asian child playing with his kite. Shooting with a long lens, he never noticed me, which makes for a very natural look. The image immediately reminded me of the famous book / movie "The Kite Runner" written by Khaled Hosseini. Some of the other images of the stay at Koksijde beach, can be found here. 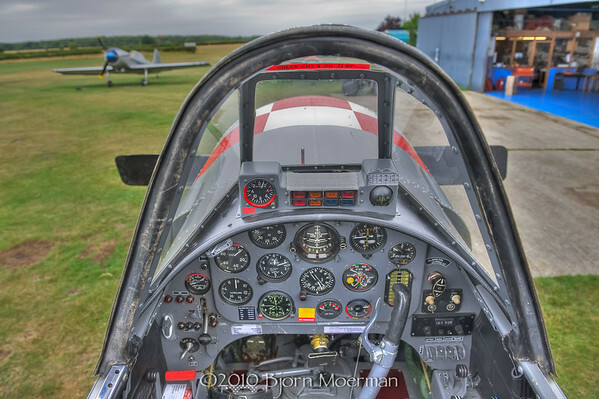 Last Friday, I flew a Robin 400 to Little Gransden (EGMJ), a small strip North of London, close to Cambridge. It is the home of YAK UK, a maintenance center for Russian build YAK aircraft. We picked up a friends dual seat YAK52, and flew it in formation with the Robin across the channel to Belgium. Some Air to Air images of the flight can be found here. For more Russian beauties at Little Gransden, click here. I'm back in the mother country, Belgium, combining some photography jobs with some leave! The white stripe on the mid section of the animals, looked liked it had just been painted on. Almost too perfect for nature! There were about 15 in total, all looking very similar. PS: Obviously there was no need for a relatively high ISO like the 800... my camera was still setup like this and I did (forgot?!) not change it. By lowering the ISO to the standard 200 (less noise), I would still be able to shoot this image at 1/2000s. 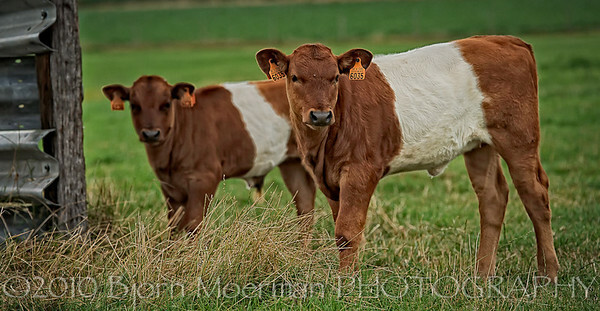 Plenty for my posing cows! I'm in the process of editing images shot at an interesting Urban Exploring place; a disused Amusement Park called Dadipark... Some of the images can be found here. If the weather permits, tomorrow I'm off to shooting some cooperate (business) aircraft at Brussels International airport.